It’s happening! It’s finally happening! Today, after four and some-odd years of working at our psychedelic talk opera, 2 Dope Boys in a Cadillac will begin our first Fringe Festival experience. Tonight we’ll perform a two minute preview of our show at the opening event, after spending a few hours working on tech and rehearsing with Graham Ug McDonald, our director. 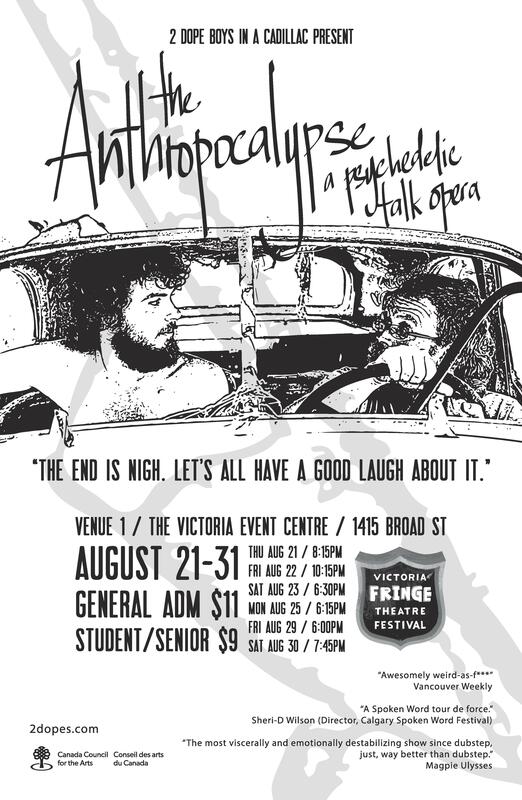 Tomorrow… The Anthropocalypse begins – in Victoria. Poster by the endlessly talented Leia Herrera.